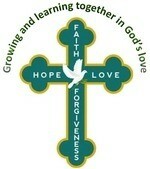 Learn more about our Christian values here. At St Mark’s CofE Primary School we recognise that the personal development of children – spiritually, morally, socially and culturally (SMSC) – plays a significant role in their ability to learn, achieve and become responsible citizens. We therefore aim to deliver an education that provides children with opportunities and experiences to develop character and skills linked to these areas which support our Christian ethos and values – faith, forgiveness, hope and love. SMSC will be embedded within all aspects of school life. Specific learning opportunities will be planned and delivered throughout the curriculum. Willingness to reflect on their experiences and their understanding of others’ experiences and beliefs. Where pupils already have religious beliefs, supporting and developing these beliefs in ways which are personal and relevant to them (special table in all classes, Prayer Table in communal area, candles lit in worship, daily opportunities provided for reflection, prayer spaces and more). Giving pupils the opportunity to understand human feelings and emotions, the way they impact on people and how an understanding of them can be helpful (Literacy, Drama, Music, Dance curriculums, Year Group performances, celebration worship, and special events such as Remembrance Service). Accommodating difference and respecting the integrity of individuals. Promoting teaching styles which: values people’s questions and give them space for their own thoughts, ideas and concerns; enable pupils to make connections between aspects of their learning; encourage pupils to relate their learning to a wider frame of reference, for example asking ‘why’, ‘how’ and ‘where’ as well as ‘what’. Taking seriously and valuing our Collective Worships and RE lessons, recognising that these events in particular provide opportunities for learning, understanding, and spiritual development. Promoting good mental health and wellbeing throughout our provision, including through the use of HeartSmart. Providing models of moral virtue through literature, humanities, sciences, arts, assemblies and acts of worship (Literacy; History; RE; PSHE; Assembly; Drama). 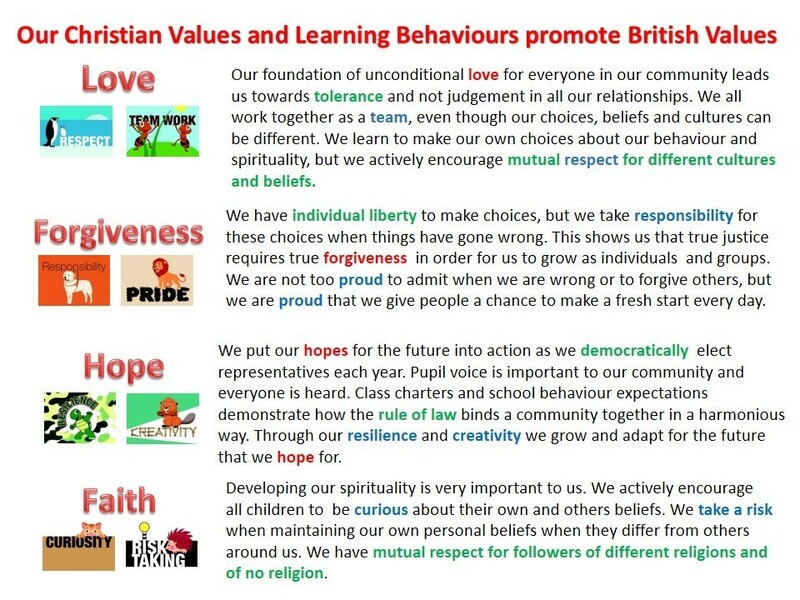 Reinforcing the school’s values through images, posters, classroom displays, screensavers, exhibitions etc (RE Week, Cross depicting school’s key values displayed throughout school, Dove depicting all Christian values, banners, general environment). Immanuel Church is situated within the school building and therefore creates a variety of links to develop pupils spiritual development. Immanuel members work with the school in developing prayer spaces and worship times. We provide a range of lunchtime and after school clubs such as football, netball, book club, gardening, choir, orchestra, running and more. These are vital to the spiritual and social development of children. We have a number of visitors into school to discuss their jobs, cultures and interests linked with themed weeks. 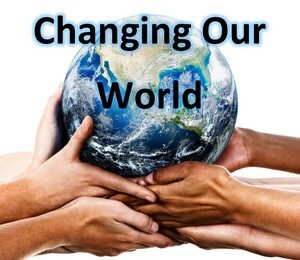 This embeds the Spiritual, Social and Cultural development of the children. The children go on various trips and visits to enrich their learning this is also key to the Spiritual, Social and Cultural strands of SMSC. In Year 6 the children go on a PGL residential trip. This is a fantastic opportunity for the children to develop their social development. The choir regularly perform at community events such as Festival Place and The Anvil. Children participate in many fundraising opportunities, more recently creating strong links with an orphanage and school in Ghana through the ‘Raising Hope’ foundation. The school council helps promote moral development as a whole school approach. All worships embed the spiritual and moral development of all children.